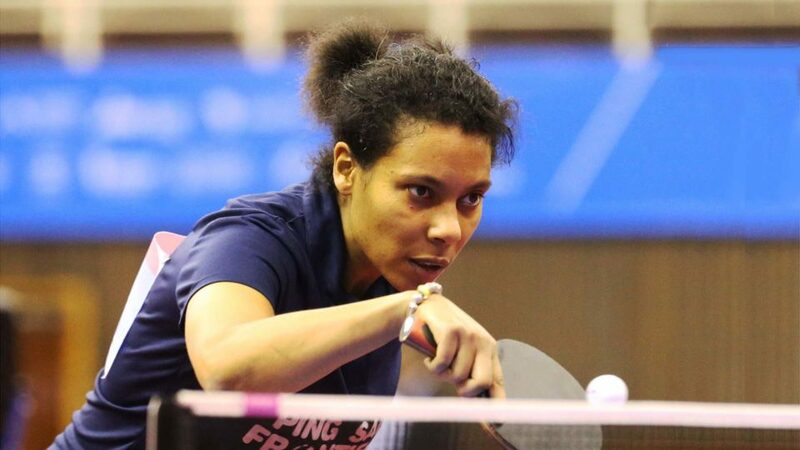 As a realist who knows her strength against others on table, Sarah Hanffou is very modest in her ambition for the 2018 ITTF African Championships holding in Mauritius on September 3 to 9. The practicing legal practitioner is one of the early birds in Mauritius shaping up for the tournament and as a finalist at the 2018 ITTF Africa Top 16 Cup in Kenya. “I think semi-final would be a very good results while the rest would be a bonus.,” she admitted. Despite getting closer to the title in Kenya, Sarah Hanffou is nt ready to be carried away by the feat. “Yes, actually I did an amazing competition in Kenya. Let’s focus on one match after another, and see. One of the difficulties I will face in Mauritius is that unfortunately I will not play in the team event. I will have to manage this and get into the competition from the very first match. The Cameroonian is not happy with the slow pace of progress of table tennis in the continent. “ I have to be frank. I left the French national team in 2007, more than 10 years ago. Since then, I have been playing and observing table tennis in Africa, as a player and with my NGO -Ping Sans Frontieres (PSF). My assessment might be tough but it is as it is: I do not think that there has been any improvement for the players and for the development of table tennis in the continent. Lots of players are struggling to have training in their countries not to talk of equipment. There is no massive development plan in the schools or project to unite and join forces in the different zones. I haven’t heard about any social project to use table tennis as a tool of education and convey values. I am thinking about the next generation, and I can understand their frustration. I really hope that table tennis in Africa will be focus on players,” she rued. With PSF, Sarah Hanffou is willing to support with equipment in the Indian Ocean nation. “I want to enjoy myself while playing and go as far as possible. Furthermore, with PSF and thanks to lots of players who are playing in Europe, we were able to bring more than a 100 kg of equipment. With Cedric Rouleau who is a member of the PSF team and our ambassadors, we will be happy to distribute the equipment to our partners but also to the national associations who are participating for the first time in the African Championship. We must join forces, help each other and give back what table tennis has given us,” she said.